The Pure Fracking play Keane Group $FRAC reported mixed second quarter earnings after the market close Monday. $FRAC was the first IPO of 2017 and it's footprint is in the Permian Basin, Marcellus Shale/Utica Shale, the SCOOP/STACK Formation and the Bakken Formation. Houston's Keane Group $FRAC was the first IPO of 2017 with footprint in the Permian Basin, Marcellus Shale/Utica Shale, the SCOOP/STACK Formation, the Bakken Formation and other active oil and gas basins. The company is "one of the largest pure-play providers of integrated well completion services in the U.S., with a focus on complex, technically demanding completion solutions. 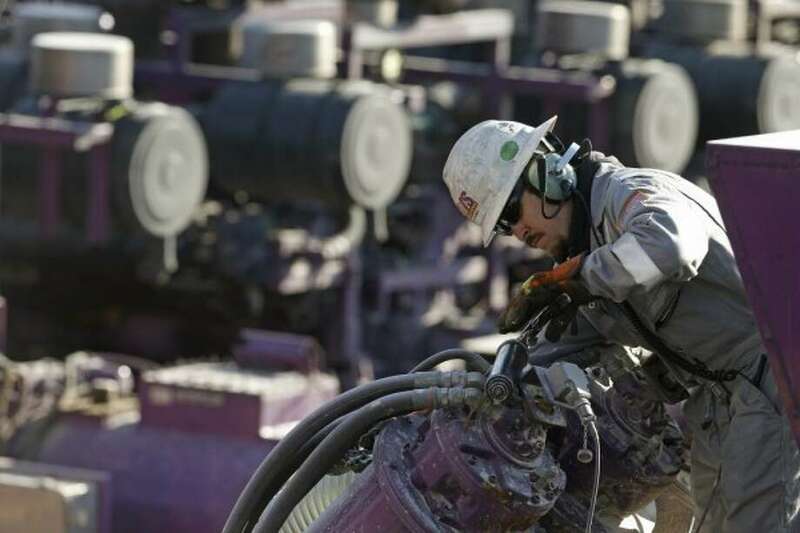 Our primary service offerings include horizontal and vertical fracturing, wireline perforation and logging and engineered solutions, as well as other value-added service offerings." Keane website. Revenue for the third quarter of 2017 is expected to increase between 45% and 60% sequentially. Approximately 60% of this sequential growth is forecasted to be driven by contribution from five active hydraulic fracturing fleets acquired during the RockPile transaction, while the remaining 40% will be driven by higher pricing, greater efficiencies and the deployment of an additional hydraulic fracturing fleet. Keane expects to exit the third quarter of 2017 with 25 active hydraulic fracturing fleets, including those acquired during the RockPile transaction. Leading edge annualized Adjusted Gross Profit per fleet is expected to increase to the mid-to-high teens, up from approximately $12-13 million in May 2017, driven by constructive supply and demand dynamics. Based on current market conditions, Keane expects its full portfolio of hydraulic fracturing fleets to be deployed and accrue toward these leading edge margins ratably through the end of 2017. Cementing and workover operations acquired with the RockPile transaction together represent a current annual revenue run rate of $35-40 million, with 10-15% gross margins. Keane intends to further evaluate these businesses with regards to opportunities for optimization and growth, including the potential to activate its idle cementing assets. The $FRAC IPO opened at $22 after pricing its initial public offering of 26,760,000 shares of its common stock at the high end of the expected range of the public offering price of $19.00 per share. 15,700,000 of the shares were offered by the Company and 11,060,000 shares were being offered by the selling stockholder. The selling stockholder also granted the underwriters a 30-day over-allotment option to purchase an additional 4,014,000 shares of the Company's common stock. Footprint located in the Permian Basin, Marcellus Shale/Utica Shale, the SCOOP/STACK Formation, the Bakken Formation and other active oil and gas basins. Acquired by Cerberus in 2011, positioned to take advantage of a rebound in E&P spending.